Our curriculum is structured mainly into five Practitioner levels, five Graduate levels and five Expert levels. 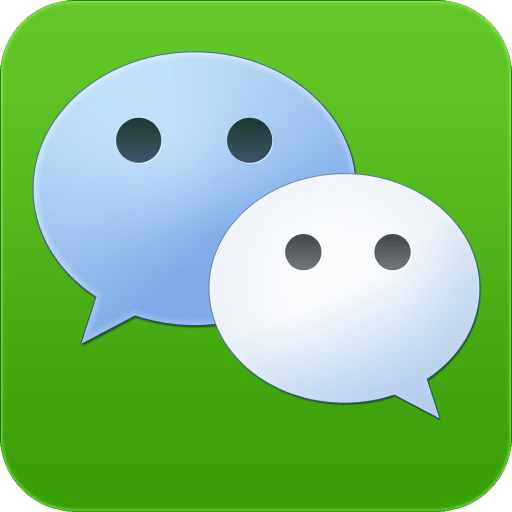 Each level has a specific syllabus and requirements. In addition, there are three Master levels (Imi granted up to Master 3 / Expert 8), which has specific requirements, but no curriculum, associated with them. Climbing from one level to the next in the Practitioner levels requires a minimum of about half a year of regular training before a student can seek to take an exam. Graduate levels require half a year to one year of regular training between levels, and Expert levels require one to five years or regular training to pass from one Expert level to the next. 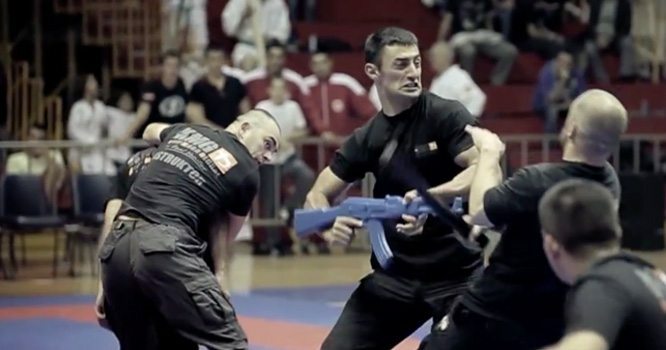 Eyal Yanilov, currently the head of KMG, created the modern Krav Maga ranking system and curriculum back in the 1980s. He implemented this system when he was head of IKMF and now has evolved it further as head of KMG. Back in 1964, when Imi retired from the military, there was no formal ranking system in Krav Maga. In the first months when Imi started teaching civilians, he gave his students military shirts which served as their Krav Maga uniforms. Shortly after, Imi thought he would bring Krav Maga into the realm of martial arts and fighting sports family. As such, he adopted the Judo uniforms and the Judo belt ranking for Krav Maga and created a curriculum for 6 different belts: yellow, orange, green, blue, brown and black. 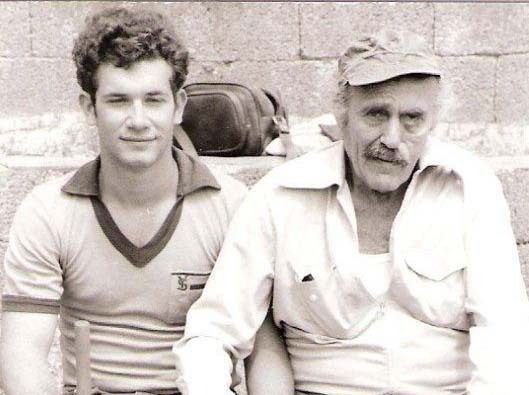 This was the system when Eyal began training with Imi in the 1970s. In 1987, when Imi put Eyal in charge of the Krav Maga grading committee of the IKMA, he developed a new curriculum which was approved by Imi. 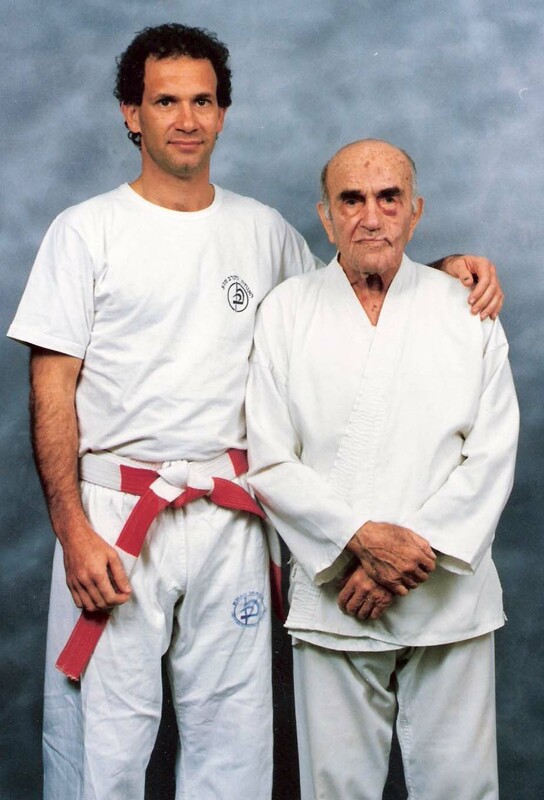 At the time, Eyal still kept the colored belts, but revised the curriculum and added grades up to 5th degree Expert or Black Belt. During that time, many younger instructors stopped wearing the belts while teaching, and used them only for special occasions. Soon, the training uniform started to change as well, as students no longer wore the full Judo gi, but instead just t-shirts and Judo/Karate pants. 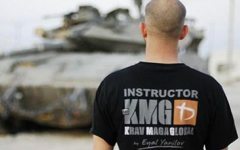 When Eyal started going out of Israel and worked to spread Krav Maga around the world, it became apparent to him that the belt system was not suitable for Krav Maga, which was seen as a system with military roots, and was not progressive for teaching. 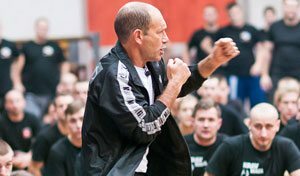 In the 1990s, Eyal, with the assistance of some senior European students at the time, created the Practitioner, Graduate and Expert Levels of Krav Maga that we know today. (The three Master levels remain without curriculum.) Since the system had obviously evolved from what it was in the late 1980’s, Eyal also needed to alter and rearrange the division, progression and flow of the curriculum. A new curriculum was then created, and this was approved by Imi about half a year before he passed away. Today, the curriculum still evolves under the guidance of Eyal to meet the needs of the modern world. 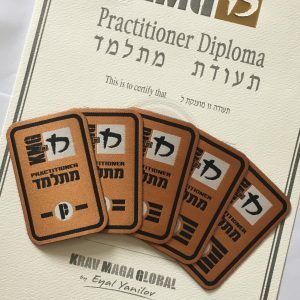 Practitioner (P) levels are where the student begins their journey as a Krav Maga practitioner. At this level, the practitioner is known as an “Operator” — a student who is learning each technique step-by-step and applying the basic principles and methodologies that they have learned. 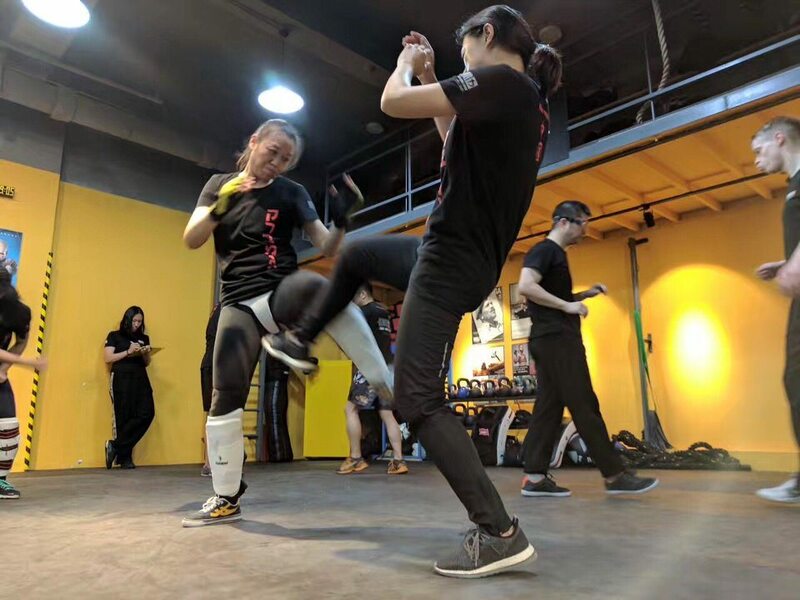 Practitioner levels cover all the fundamental strikes used in Krav Maga, defenses against common empty-hand attacks (kicks, punches, chokes, etc.) from standing and on the ground, defenses against basic knife and stick threats and attacks, basic third-party protection, and soft (non-violent) solutions. Students also learn proper decision making, and tactics for basic multiple attacker scenarios. Graduate (G) levels are where the student enters the “Fighter” stage. They have successfully demonstrated proper technique and have the ability for better decision-making when under stress. In these levels, students are introduced to more difficult and complicated scenarios, built on the fundamental techniques in the Practitioner Levels. Students learn more advanced strikes and striking combinations, defenses against various cold weapons attacks and firearm threats, different starting positions and states of readiness, dealing with various progressions of problems, and intermediate multiple attackers situations. All KMG Instructors must be at least G-level in order to teach. Expert (E) levels are known as the “Warrior” stage. This means Expert level practitioners can successfully move from one defense to the next without hesitation during unpredictable threats. They can also demonstrate strong skills in fighting tactics. Expert level testing is by invitation only, and has specific requirements apart from testing for each level. Ranks and curriculum for the professional and government sectors are separate from civilian training. KMG has three (3) Fighter levels and three (3) Warrior levels that are awarded upon successful completion of our sector-specific courses. These programs are specific to law enforcement, military, security, SWAT, Special Anti-terror, and VIP protection. 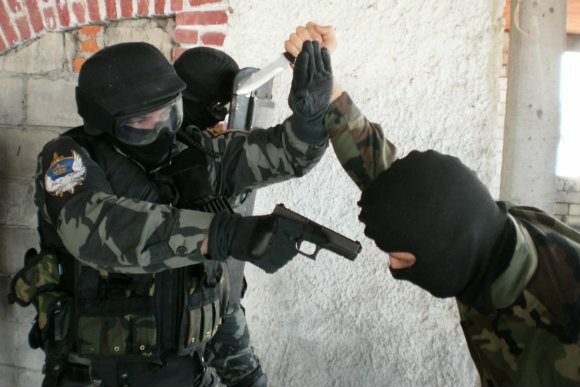 This curriculum covers both lethal and non-lethal techniques, and aims to train and educate Operators and Units to be complete Fighters and Warriors. 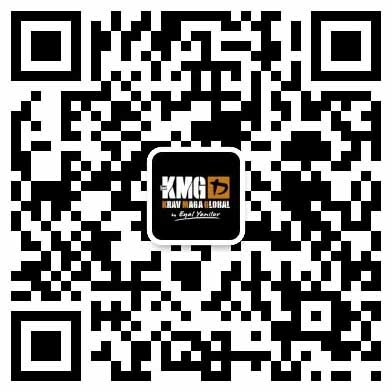 As a complete program, KMG’s professional training cover Mentality (fighting spirit, focus, decision-making under stress, etc. ), Physical Ability (explosive power, absorbing ability, functioning under stress and fatigue, etc. ), Technical Proficiency (technique learning and application for various situations and environments), and Tactical Thinking (fight tactics, pre-fight tactics, and post-incident tactics). Students should note that membership in a KMG-affiliated training club does not guarantee qualification for grading. We require all instructors to separately approve students for grading, if they comply with requirements. 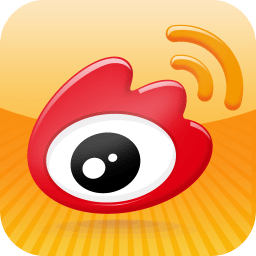 Furthermore, local testing will be done by the China HQ or by instructors authorized specifically authorized by HQ under specific conditions. In the interest of fairness and ethical practice, instructors will typically not test their own students. 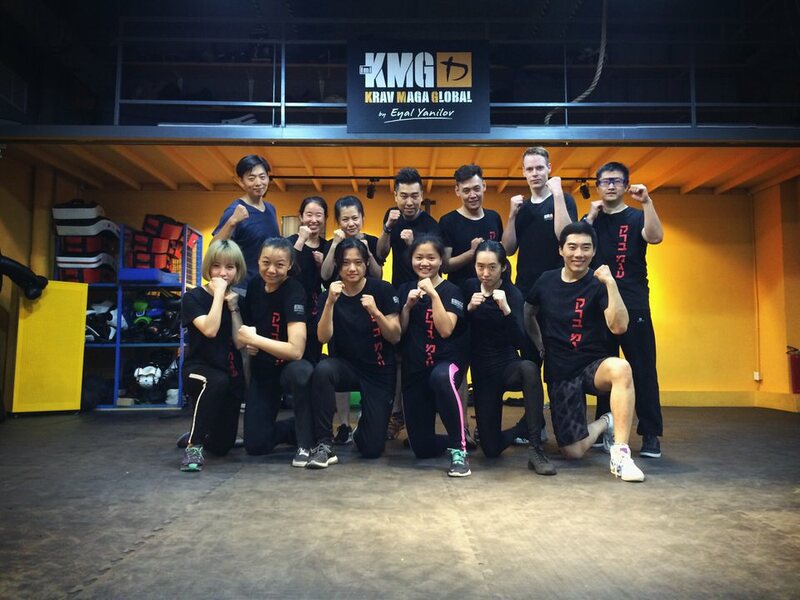 Because of the strict training and qualification requirements per rank, we ensure that KMG students have solid self-defense and fighting abilities as they progress. In the end, our goal is not merely to award a rank or a certificate, but to ensure that students come away with real-world skills and abilities. For current KMG students, please refer to the “Requirements for P-Level Testing” to see if you qualify for an exam. In addition, please note that testing students must comply with the KMG Student Code of Conduct in order to be eligible for testing. We expect all KMG students to be have good character and personal discipline, and to show respect to their school, instructors, fellow students, and society in general. Our Patches and Diplomas are issued after grading, in accordance with the testing standards of KMG internationally. 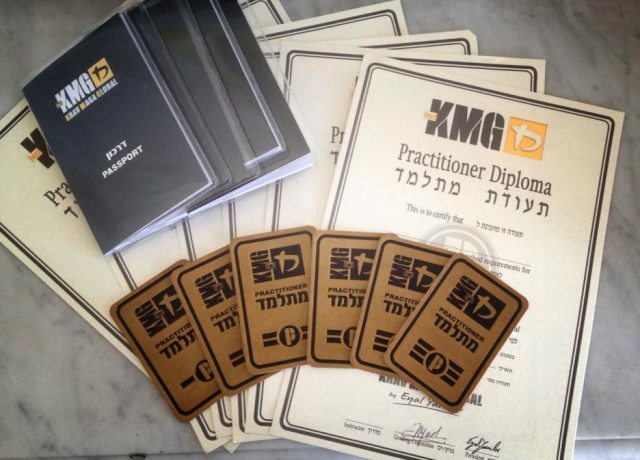 Patches represent the generally ranks of adult civilian training with KMG (Krav Junior rankings, patches, and diplomas are different from adults). KMG Passports, each with a unique identification number, are also issued to students who rank with us. It is a log book in which training and grading information can be documented. It indicates which club a student belongs to, which courses and qualifications they have taken, which seminars and workshops they have attended, and what their current grade is. Note: Patches or civilian diplomas representing rank do not represent instructorship under KMG, as qualification and testing instructorship is separate from civilian rankings. 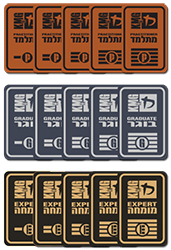 Patches or civilian diplomas also do not represent specialist Krav Maga certifications (i.e. law enforcement, military, VIP protection). 1. 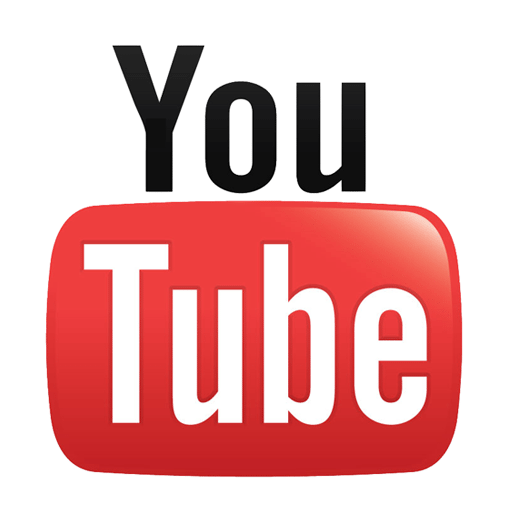 Why should I grade? Is it a requirement to grade? We encourage students who train seriously and regularly to grade up in the system so they can progress. Gradings are a measure of proficiency, ability, and personal discipline: it tells that instructor that you know the techniques by heart and have the discipline and maturity to progress to the next level of training. We do not, however, require students to grade. 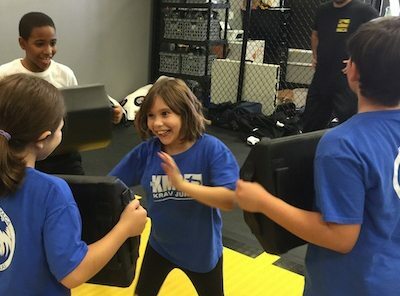 We understand that many students may not be interested in test-taking, and are just looking to learn useful techniques for self-defense. 2. What do I need to do to be eligible for grading? Meet the minimum training time for grading at your local school (standard is 4 to 6 months between levels), follow the guidelines of your local school and the KMG Student Code of Conduct, and get the approval of your instructor. 3. If I train everyday, can I grade faster? As a general rule, this is not allowed. 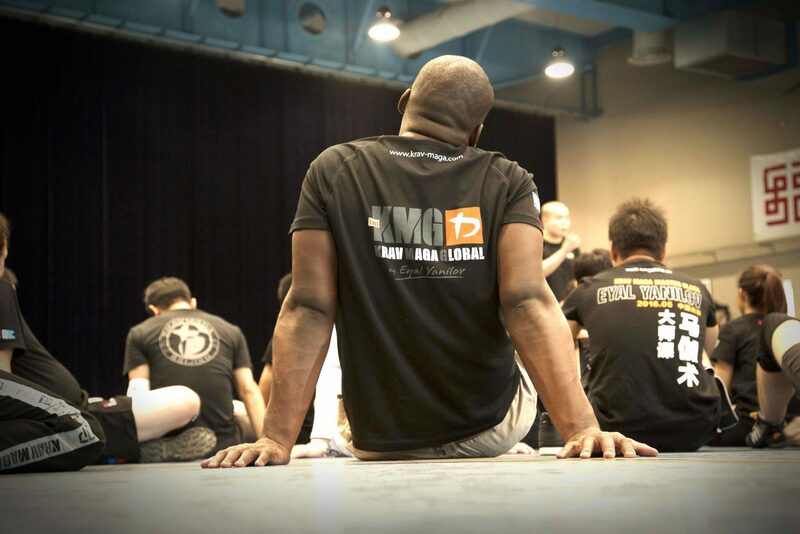 KMG does not allow for “cramming” of training, especially at the first few levels. Muscle memory, coordination, and technical skill is only developed with proper training over time, not by cramming. At the first few levels, we also want students to train correct movement, muscle memory and clean techniques, as they will be building on these foundational movements when they progress. 4. My instructor is not approving me for grading, what can I do? Talk to your instructor and find out why, and improve on your problem areas. Your instructor will be able to give you real feedback on what you need to work on before grading. Please note that KMG requires instructors to screen candidates for grading, even on the early levels, not just for technical skills but also good personal character. Students who violate the KMG Code of Conduct, even if they fulfill other training requirements, will not be accepted for gradings. 5. I have a grade with another Krav Maga organization. Can I convert my grade to your system? 6. I just tested into G1, does that mean I can be an instructor? No. Under KMG, instructor certification is separate from ranking. You can be an Expert 1 level rank, but without passing the GIC, you will not be qualified for teaching. Separating general ranking from instructorship is one of the hallmarks of KMG’s professionalism. We recognize that a good practitioner / fighter does not necessarily make a good instructor. Instructorship requires the ability to teach others, and a deep understanding of the system and its application for different people. Instructors are also expected to show discipline, humility, good judgement, and maturity, in accordance with the Instructor Code of Conduct. This is something we screen for separately when we do our Instructor training and testing.